I am the luckiest man alive, because I get to live and work in the most beautiful place on earth: Matterdale in the English Lake District. When I was a child we didn’t really go anywhere, except a week in the Isle of Man when I was about ten years old, and I never left Britain until I was twenty. Even now, years later, the best bit of any travelling is coming home. Bringing us into the world of shepherd’s baking competitions, sheep shows and moments out on the fell watching the sheep run away home, James Rebanks interweaves thoughts and reflections on the art of shepherding with his photographs of the valley, people and animals that make up the daily life of the fells. A life lived by the three hundred surviving fell farming families, this is a book of photos and words filled with reverence and love. 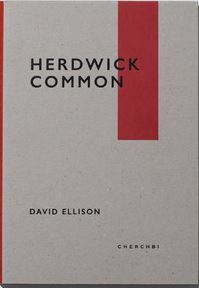 Herdwick Common is a collaboration between two individuals whose shared appreciation of Cumbrian culture and landscape defines their taste in design and art. David Ellison is an emerging contemporary photographer whose style combines portraiture, documentary and contextual landscape photography. Adam Atkinson is the founder of Cherchbi. Britain’s oldest sheep breed is inextricably linked with the Lake District and both subjects are emotive and internationally renowned. The book is unique in its contemporary presentation of this heritage-rich subject and will have local, national and international appeal. The most fabulous images of Herdwick sheep in their home in the Lak e District. 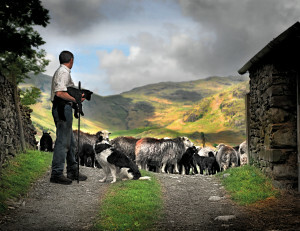 Ian Lawson worked with members of the HSBA over 5 years to capture his fabulous images which truly capture the work of Fell Farmers and the progression of their life working with the sheep through the seasons. Only available from Ian’s website this book is an heirloom you should own. Also available are beautiful prints and cards. This book traces the origin and development of the breed and reveals the fell farming year through numerous historical and current examples. 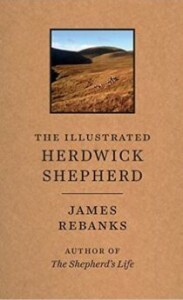 It describes the arrangements for managing sheep on the fells, (many of which are common land) and the famous heafing behaviour of Herdwick sheep is examined in detail a s are the roles of sheep dogs, sheepfolds, sheep identification marks, Shepherd’s Guides and shepherds’ meets.The work of the many Herdwick families is documented as is the role of Mrs Heelis (as Beatrix Potter was known locally) putting both her contribution to the Herdwick sheep breeding community and also her legacy to the Lake District into perspective. This book also looks at more recent challenges to Herdwick sheep keeping such as the Foot and Mouth Disease outbreak in Cumbria in 2001; reductions to stocking levels as a result of environmental schemes; and the reform of hill farming policy. It concludes by suggesting some ways forward to sustain a key part of the Lake District’s cultural landscape. Written by Geoff Brown Secretary of the Herdwick Sheep Breeders’ Association for over 20 years. These modern dispatches from an ancient landscape tell the story of a deep-rooted attachment to place, describing a way of life that is little noticed and yet has profoundly shaped this landscape. 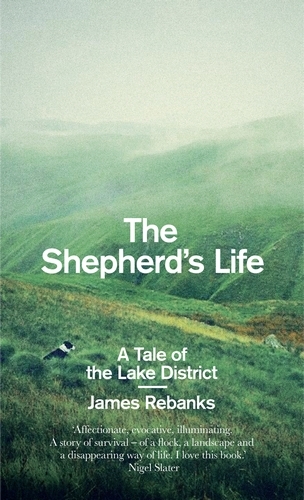 In evocative and lucid prose, James Rebanks takes us through a shepherd’s year, offering a unique account of rural life and a fundamental connection with the land that most of us have lost. It is a story of working lives, the people around him, his childhood, his parents and grandparents, a people who exist and endure even as the world changes around them. Many stories are of people working desperately hard to leave a place. This is the story of someone trying desperately hard to stay. 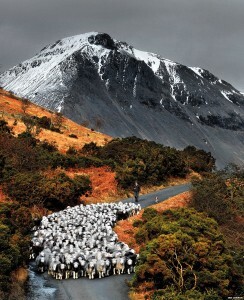 Find out more about “Herdwick Country”. Hugh and Therese Southgate have launched the “Herdwick Country Cook Book” which gives details of the heritage of the Herdwick sheep, a Cumbrian Food and Wool trail, walks in Herdwick country and a range of creative recipes for you to try at home. Sheep are the thread that runs through the history of the English countryside. Our fortunes were once founded on sheep, and this book tells a story of wool and money and history, of merchants and farmers and shepherds, of English yeomen and how they got their freedom, and above all, of the soil. Sheep have helped define our culture and topography, impacting on everything from accent and idiom, architecture, roads and waterways, to social progression and wealth. With his eye for the idiosyncratic, Philip meets the native breeds that thrive in this country; he tells stories about each breed, meets their shepherds and owners, learns about their past – and confronts the present realities of sheep farming. Along the way, Philip meets the people of the countryside and their many professions: the mole-catchers, the stick-makers, the tobacco-twisters and clog-wrights. He explores this artisan heritage as he re-discovers the countryside, and finds a lifestyle parallel to modern existence, struggling to remain unchanged – and at its heart, always sheep. To Bid Them Farewell – A Foot & Mouth Diary Adam Day’s diary of fighting on the front line in the battle against foot & mouth disease in Cumbria is not an easy read (in the words of a local NFU man, “[it] doesn’t half bring the nightmare flooding back”) but it is well written and reminds us that we should never forget the awfulness of the situation British farmers faced. A children’s story written by Irvine Hunt and available as a Kindle book from Amazon. What is so lovely about this story is that it captures the essence of the Herdwick sheep, their natural instincts for survival and their hardiness. The story made me laugh out loud as they extricate themselves from any number of scrapes. 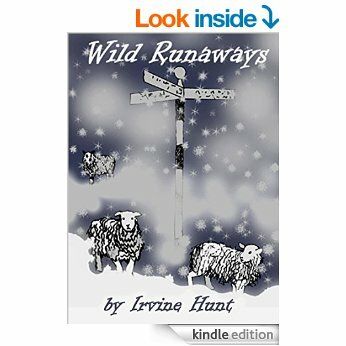 The story is written with warmth and humour and introduces the reader to the life of sheep on the mountains. 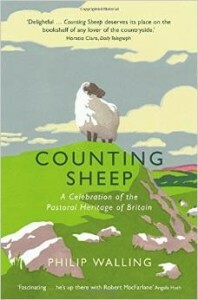 The Herdwick Sheep Breeders’ Association look forward to promoting this book to the young shepherds of tomorrow!